Unheard has a cool concept and at first glance looks promising, but does it realize its potential? Our review. Bombarded by massive open-world games that consume so much time these days, there’s something quite refreshing about finding bite-sized experiences. Interesting gameplay mechanics within a smaller scope can lead to some hidden gems, but potential doesn’t always lead to success. 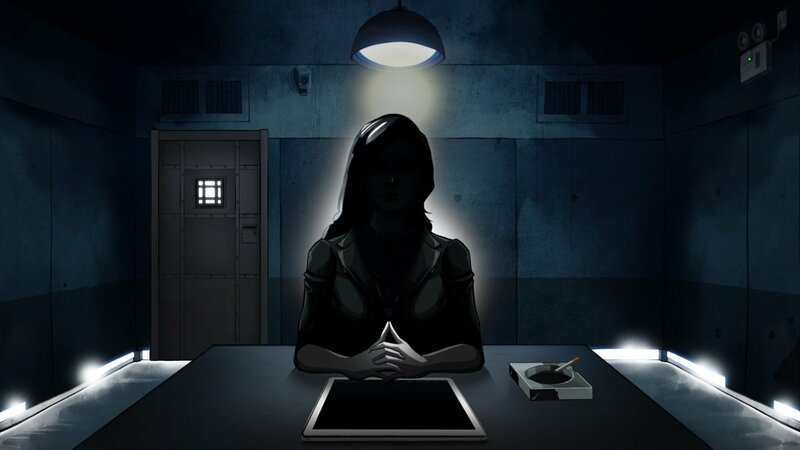 In the case of Unheard by NEXT Studios, my hopes were high based on an interesting concept, but this good idea never truly quenched my puzzle-solving thirst. The moment I began playing Unheard there was a familiar vibe I was fond of. It reminded me of how I felt watching Déjà Vu, a 2006 film starring Denzel Washington. In Déjà Vu, Denzel used technology to study past events to prevent disaster. In Unheard, the concept is similar, but instead of being primarily visual, audio is the star of the show. Players use a tablet to review audio logs from past events, fitting various pieces of the puzzle together to form a complete picture. Players can move freely along the timeline, pausing or speeding up by clicking and dragging. There is no urgency here, and when the player feels confident they have a grasp on what happened, they can attempt to solve the puzzle and move on to the next. 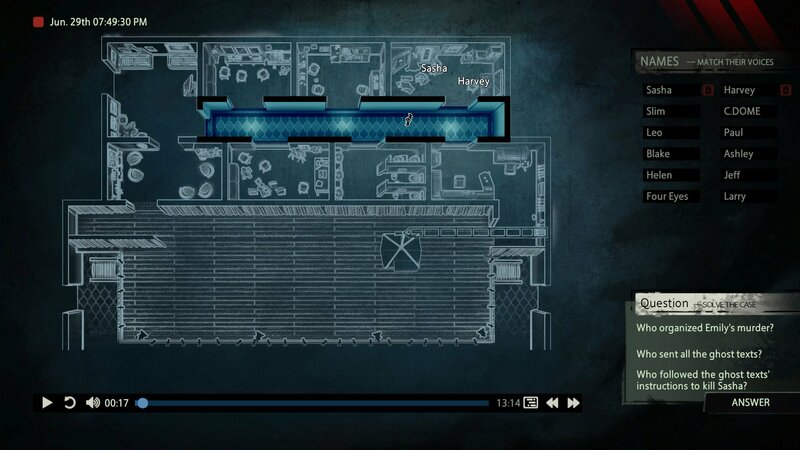 While Unheard is more about the audio than the visuals, players do get a top-down view of each location so they can track key characters from each scenario. These NPCs start out as unidentified circles on a map. As their identities are revealed, players can label them and start to sort out who is just background noise and who might be up to no good. If there are five characters in a level and the scenario spans five minutes, it’s reasonable to expect to spend 25 minutes on the level as it’s often necessary to listen to a character’s entire audio log. There are only five scenarios in the game, and they range from three to 15 minutes in length. It’s unlikely players will solve any scenario on a single run, but I still managed to finish Unheard in under four hours, and that included replaying a couple scenarios in the interest of being thorough. Unfortunately, there is no reason to return to Unheard once it’s complete. The scenarios don’t change so the solutions remain static. Those that recall how something played out once will get no value listening in a second time. 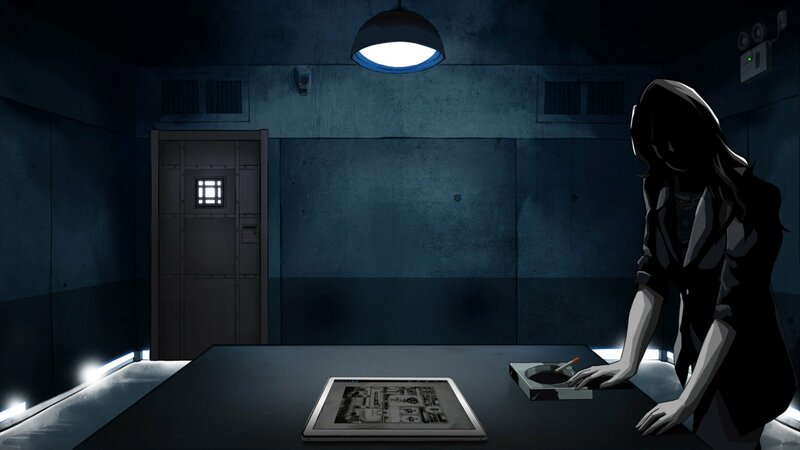 It’s not necessary to listen to the audio logs if players know the answers to the puzzle. Answers could be provided instantly (although this is unlikely) without ever listening to a second of recordings. Mastery in Unheard is less about skill and problem solving as it is about patience. It’s not at all unlike listening to an audiobook and having to pass a test at the end, only players can take the test as many times as they’d like with zero consequences for failing. Unheard is also bogged down by a few silly choices that limit player freedom. 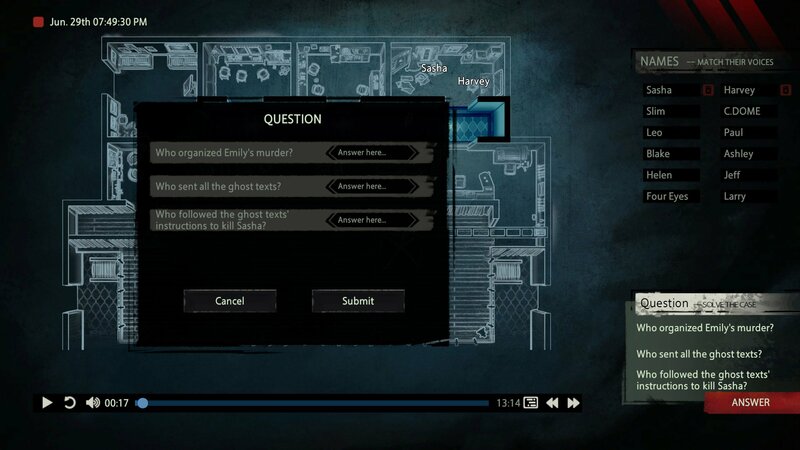 For starters, once the audio file reaches its end, a quick transition screen forces players to inform the game they want to keep listening in. This makes studying the final moments of a scenario aggravating. It’s also necessary that players correctly identify every person in a scenario, even if that person plays no part in solving the puzzle. It was not fun to have the game tell me I’d solved the riddle and answered everything correctly, then force me to go back so I could figure out the names of insignificant characters. Because there are no visuals besides a few minor opening scenes and a top-down view, which are both cool, there’s a heavy dependency on the audio being on point. Unheard even suggests players wear headphones, and it was a solid suggestion. Direction and distance are important while listening to the audio logs. 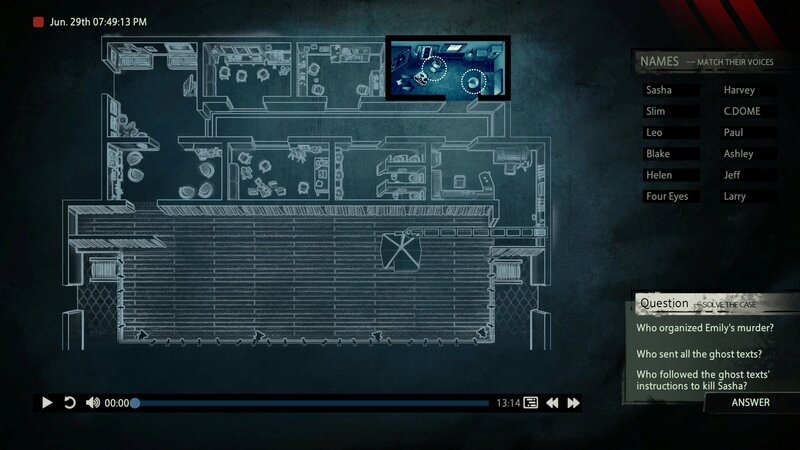 Players will find they’re unable to hear conversations on the opposite sides of large rooms or through doors and walls, and there are a few instances where I found it was beneficial to position myself at a spot on the map that let me loosely listen in on several conversations at once. Without headphones, it’s unlikely I would have been able to pick up on a few subtle audio cues that became important. Audio takes a bit of a downward turn with the voice acting, though. Some performances are good, some are fine, but some are just over the top. Trying to immerse myself was occasionally difficult because there were characters whose performances felt like grade-school plays. I’m not sure if NEXT Studios was going for that, but it felt a bit inconsistent. This was especially true when combined with the music, which is generally creepy and ominous just before a player enters a scenario. There were moments when I truly bought into what Unheard was selling. A couple puzzles are cleverly done, and I was invested in figuring out what happened. When it’s firing on all cylinders, immersion is natural, and players will forget their playing a game for a few moments. Unfortunately, Unheard never takes too long to pull players back to reality. Whether it’s a wonky voice performance, silly mechanic, or the feeling that it ends far before it’s finished, Unheard fails to realize its maximum potential. Solid review. I had never heard of this and this looks like something I want to pick up. That about the author blurb though. Yikes.